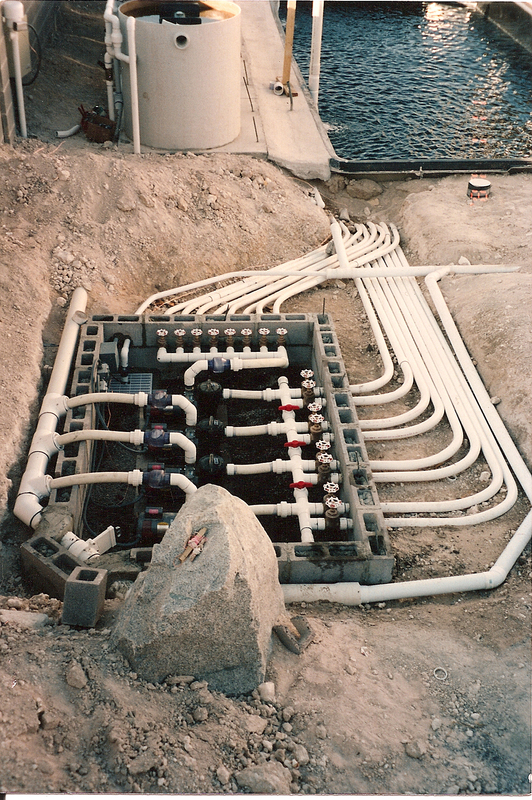 We often build customized biological filtration systems to fit your pond or water feature. We also offer Ultrviolet and other filtration systems depending on the specific needs of your watergarden. Our plumbing networks are built with care and consideration to insure successful waterworks. We use energy efficient pumps as well as quality plumbing parts making them easy to operate and maintain your system.